Minnedosa was the sister of Melita, and the careers of these two ships paralleled one another from start to finish to an extraordinary degree. 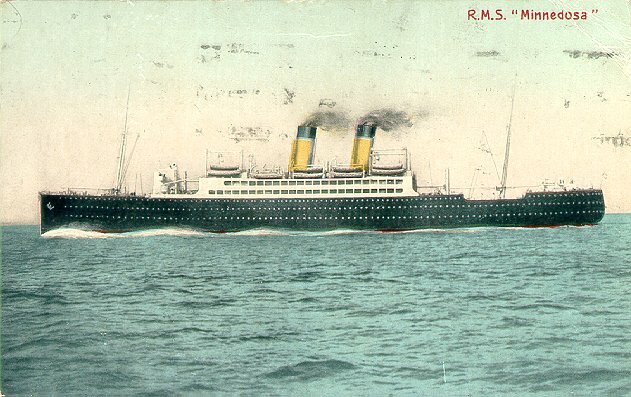 Laid down in 1913 at Barclay, Curle & Co. of Glasgow, she was intended for the Hamburg America Line. World War I intervened, however, and while on the stocks she was purchased by Canadian Pacific. After being launched as Minnedosa in 1917, she was towed to Harland & Wolff in Belfast for the installation of her engines and fitting out as a troop carrier. She entered service with a 5 December 1918 maiden voyage from Liverpool to St. John, New Brunswick, her passengers being Canadian troops returning home. 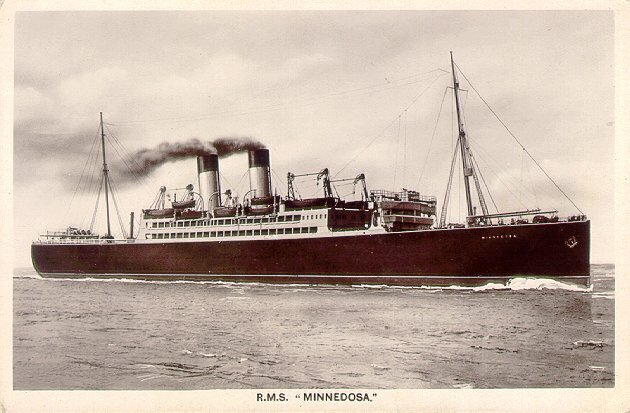 When her trooping duties were completed, Minnedosa was placed on Canadian Pacific's regular service from Liverpool to Canada, and remained in that service until 1922. She then moved over to the line's Antwerp-Southampton-Canada route. 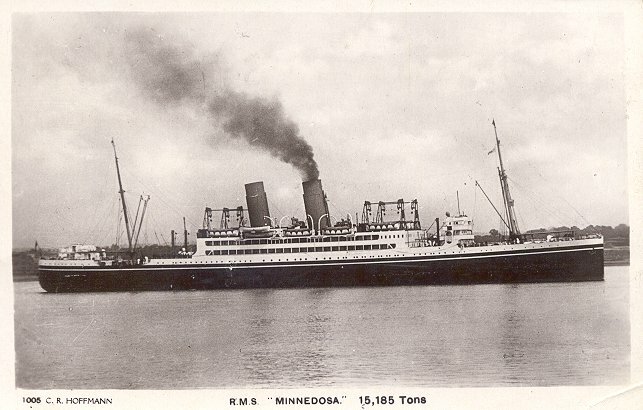 Minnedosa was refitted and modernized in 1925 at Hawthorne, Leslie & Co. of Newcastle. She then returned to service from Antwerp to Canada. She returned to the Liverpool-Canada service in 1927 and (after 129 transatlantic roundtrips) was laid up in 1931. The ship was sold for scrapping in Genoa in 1935, but was bought from the breakers by the Italian government, renamed Piemonte and used as a troop transport in Italy's Abyssinian campaign. 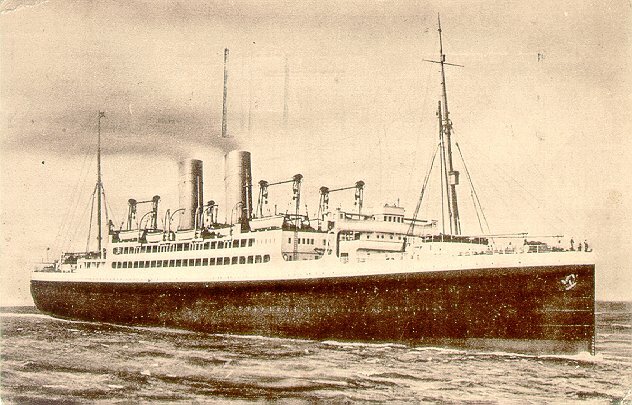 In 1938, she was placed on Lloyd Triestino's Far East service. Piemonte survived a torpedo attack near Messina in November 1942, but not an airborne Allied bombing attack, at Messina, in May 1943. She capsized and sank, half submerged in shallow water. Raised in 1949, she was then towed to Spezia for scrapping.